Good Lord, but this has got to be a beast to play... Amazingly witty though, for a serial work. Why are you amazed that a serial work might be witty? When you say more work is spent getting the permutations right, I can't help but ask: by whom? 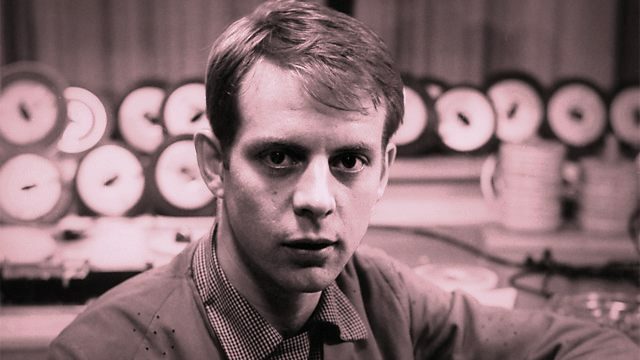 Stockhausen, or that generic whipping boy, "other serial composers"? Are you speaking of really good serial music, or really bad serial music? If thelatter, is it any different from really bad music generally? Babbitt is often very witty, but who are these humorless composers who have tarred serialism with their inept brushes? For that matter, what do you mean by "serial music"? Babbitt's and Stockhausen's music are poles apart, especially when it comes to what they each call "serial technique". Oh not Stockhausen! I love all of his works (obviously) and every one is amazingly witty. I guess when when I mention "other serial composers" I'm thinking of Boulez's Structures, Barraqué's Piano Sonata, some of Dallapiccola's stuff...ah what the heck, Jelinek, Piston, Goehr, Perle...none of these guys make music which I would first reach for when I want something "witty" (you probably wouldn't want to know what I WOULD reach for first). Good/bad, I don't really qualify music as good or bad, I just assume whatever has survived in the repertoire is "good". Of course, with this music, "survived in the repertoire" meaning played once every 5 years - maybe! Could you cite a Piston work which is really witty? It's very possible I just missed it. All I know is that most serial music cannot hold my attention (except for Stockhausen), and so that's why I don't characterize it as witty, since witty music usually does. To be honest, I don't really like the main body of contemporary classical music at all. Non-diatonic, arrhythmic music is kind of like an old girlfriend who I had hot times with when I was younger, and who I frequently go back to when bored, but I always end up feeling empty inside afterwards. Ian and I have discussed this a bit, but it's only the work of a few classical composers who I still listen to (Beethoven, Debussy, Bartok, KS, a little Ligeti and Scelsi). Actually Glass and Reich have just recently gotten my attention for a fast minute, probably because I've been listening to too much atonal music :). So if I view serial music as not being "witty", it's coming from a fairly conservative viewpoint. I tend to agree with Jerry that serialism has for a long time had to unfairly bear the brunt of being seen as dry and unengaging, of lacking spirit and wit. I'm sure it's a deserved criticism of some serialist music but then so, too, can it be of any music that relies on formulaic rigidity (I mean formula not in the Stockhausen sense, but in the 'set of rules' sense) without being enlivened by individual creativity as well. It's one of the (many) things I admire so much about Stockhausen: his ability to embrace both of these so much in his music, with such complex ideas of structure, always breathing with creative life and vibrancy. I think the serialists get blamed a little too much for writing music that works only with the formulaic rigidity though. Maybe we notice it more, or think that's all there is in some serial music, because it doesn't have the same tonal anchors that typically help us, in our Western traditions, to engage emotionally with music. I don't know. But the music that I think is most guilty of all this is not the serialists, but much of mainstream music - music that is written to trusted and unadventurous formulas to satisfy the commercial market. Music that is kind of the equivalent of the Mills and Boon novels where, I gather, writers are just given a template and all they have to do is fill it in. Never mind what with. This reminds me of what a friend of mine once said when I asked him of his opinion about lowercase improv (ie - onkyo/wandelweiser). I was trying to get him to agree with my tacit criticism of it, but he only said that like all music styles/movements, 5 percent is really good, and the rest is garbage... he had a good point. We are very fortunate that Stockhausen always managed to make it into the top 5% of so many styles! It all depends upon what you think of as "witty" (and to some extent, as Jerry said, what you think of as "serial"). Frisius pooh-poohs the idea that Stockhausen had any kind of a sense of humor, which is mystifying to me. I find much of Boulez quite witty. It's a vastly different, much more French, sense of humor than Stockhausen, but even within Stockhausen, his sense of humor is so eclectic, that it's easy to miss. Webern, the proto-serialist, is wit personified.